In 1751 the Royal Society published Benjamin Franklin's book, "Experiments and Observations on Electricity: Made in Philadelphia in America." Franklin described his scientific findings in a series of letters to Peter Collinson, a Quaker merchant and Society fellow in London who provided Franklin with a Leyden or Leiden jar. 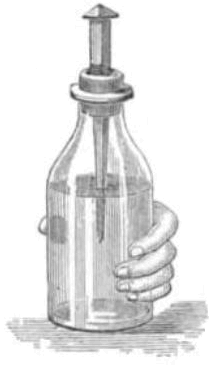 A Leiden jar is a primitive capacitor (also known as a condenser) that stores static electricity like a battery. 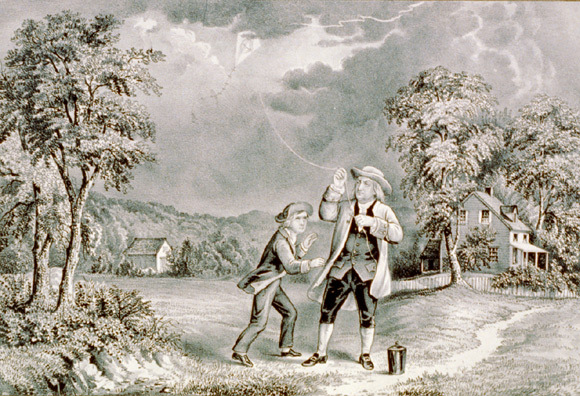 In a 1752 experiment Franklin flew a specially designed kite with his son William in a thunderstorm. The kite had a silk string attached to an iron key. Franklin tied a metal wire to the key and into the Leiden jar, while he held the silk string. After the storm passed, Franklin touched the key. 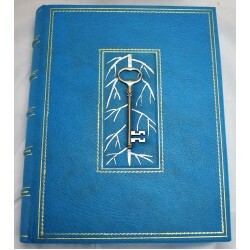 A spark jumped from the key to his hand and he received a strong shock, due to the static electrical charge. The key had acquired a negative charge, while Franklin was relatively positively charged. Currier & Ives conception of the Franklin kite experiment. In many ways Franklin’s experiments were the birth of American science and American electrical engineering. The IEEE (Institute of Electrical and Electronics Engineers) states that, "Experiments summarized in this booklet determined the existence of positive and negative charges, and the difference between insulators and conductors. This work led to the invention of the lightning rod. Its complete construction was popularized in Poor Richard’s Almanack in 1753. This is the first practical engineering application of electricity." - Milestones in Science, IEEE. The book was widely read and during the 18th cenutry was published in five English editions, three French, and in Italian, German and Latin. 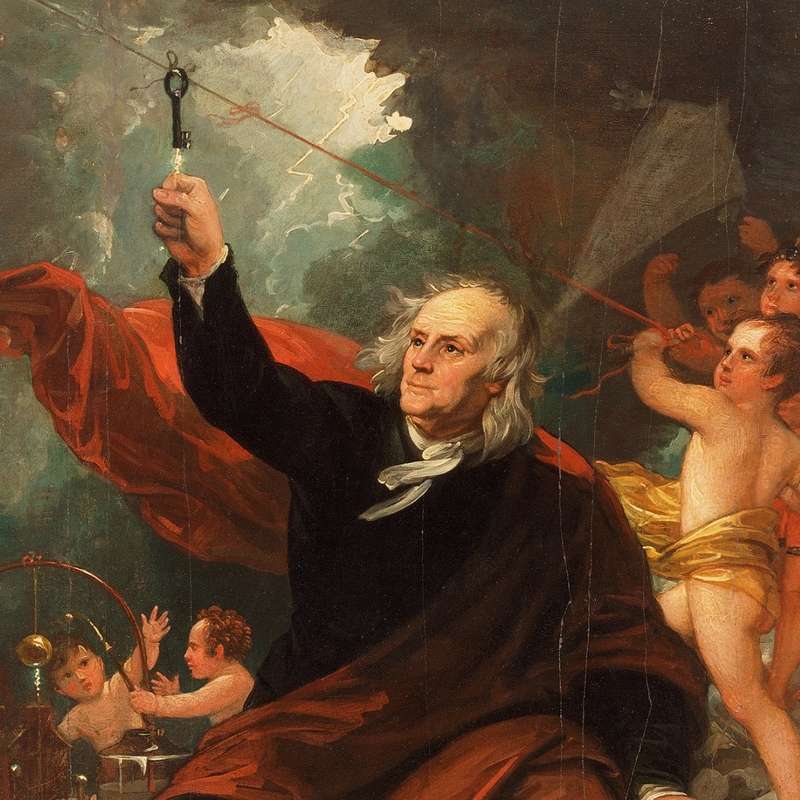 Franklin conducted other experiments with electricity and invented a lightning rod. Franklin coined new English words for the new science of electricity such as conductor, charge, discharge, condense, armature, and electrify. 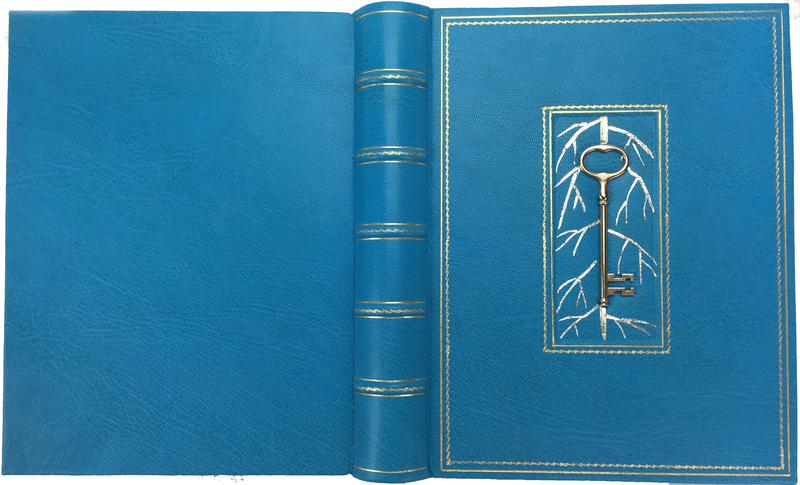 We have a lovely, custom bound volume of Franklin's Experiments from 1760 for sale in an electric blue clamshell case. Please inquire further if you are interested in purchasing it. There is also a lovely lightning exhibit of Franklin's experiment and a lightning rod he designed at the Franklin Institute in Philadelphia. Check out the museum next time you are in Philadelphia.